His power: No powers, although his ability to be a jerk in The Incredible Hulk is practically beyond the capability of most mortals. His story: Ross first appears in The Incredible Hulk as a general, intent on developing a new version of the Super-Soldier Serum that created Captain America. However, after the accident that created the Hulk and hurt his daughter Betty, he became consumed with tracking down Bruce Banner and exploiting him for military purposes. After an attempt to capture Banner in South America fails, Ross gives the soldier Emil Blonsky a modified form of the serum in hopes of capturing Banner. But the new effort—on the Culver University campus—is also unsuccessful. Ross finally manages to capture Banner in New York, but is forced to release him after Blonsky transforms into the Abomination. After the Hulk evades captures at the film’s end, Ross is approached by Tony Stark about potential involvement in developing the Avengers initiative. 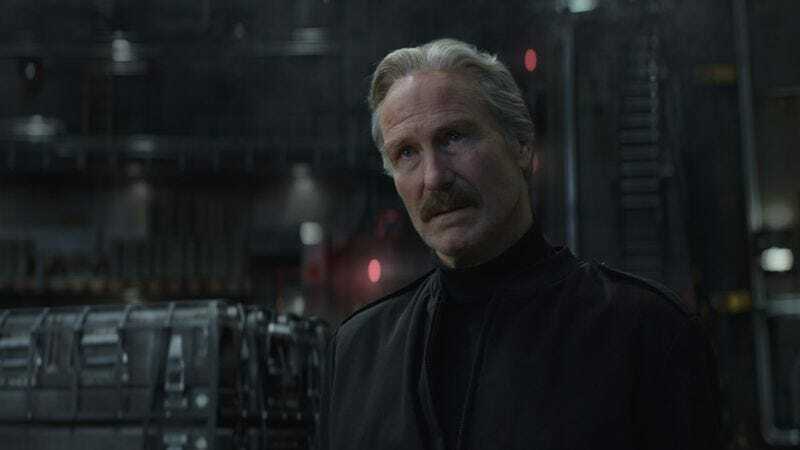 He’s not seen again until Captain America: Civil War, where we learn he is now secretary of state, and tasked with bringing the Avengers under control of the U.N. After the fight between Iron Man and Captain America’s forces ends, he oversees the imprisonment of Ant-Man, Hawkeye, Scarlet Witch, and the Falcon. Currently, Thaddeus Ross is: the United States’ secretary of state. Where will we see him next? Unknown, though it’s possible he’ll turn up in one or more of the Phase 3 movies.